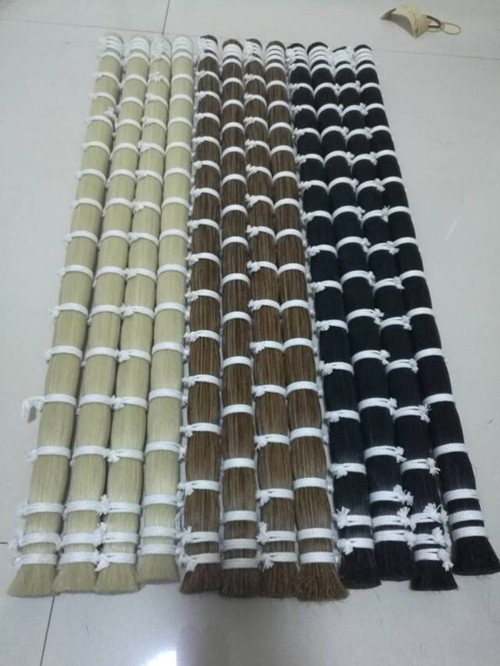 Product categories of Horse Tail Hair, we are specialized manufacturers from China, Horse Tail Hair, Violin Bow Hair suppliers/factory, wholesale high-quality products of Double Drawn Horse Tail Hair R & D and manufacturing, we have the perfect after-sales service and technical support. Look forward to your cooperation! 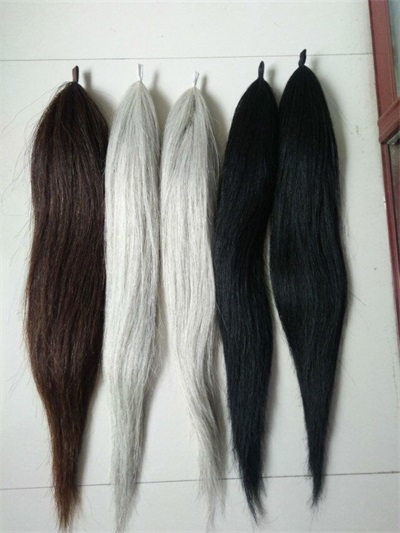 Horse Tail Hair is the long hair fiber from horse tail.The characteristic: Long fiber, strong tension, wet fastness, not easily broken, etc. 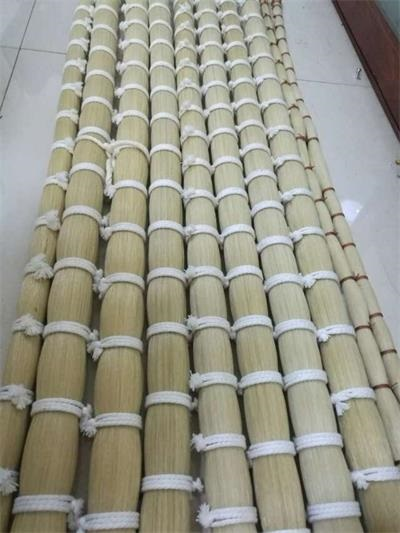 Horse tail hair are widely used for stringed instrument Bow Hair,woven lining cloth,flase horse tail hair(horse tail extension),industrial brush and craft making. It can be single side cutted type and double side cutted type. We supply several colors :mainly white, black, mixed, brown, grey, sorrel, dyed and so on, and various size :mainly 6-36" , 36" up we can supply also. The horse tail hair extract from mare and stallion is collected separately. We do this because most of our clients prefer the stallion horse tail hair as Violin Bow Hair and Cello or Bass bow hair. 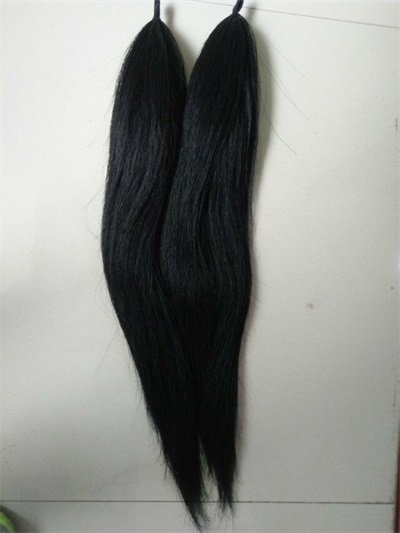 Especially the Mongolia Stallion tail hair are loved by our customers. The Mongolia stallion horse tail hair characteristic is stronger tension strength and elasticity,shining color and luster. Average diameter is about 0.20mm. However, it is not to say mare tail hair be not suited for bow hair. The mare horse tail hair is as good as stallion tail hair because of the moderate price and cost performance. Maybe,except the super musician, most of us can not recognize the music play out from stallion bow hair or mare? Want to dress your horse tail or horse mane? Here we have the handmade real horse hair braid for reference. 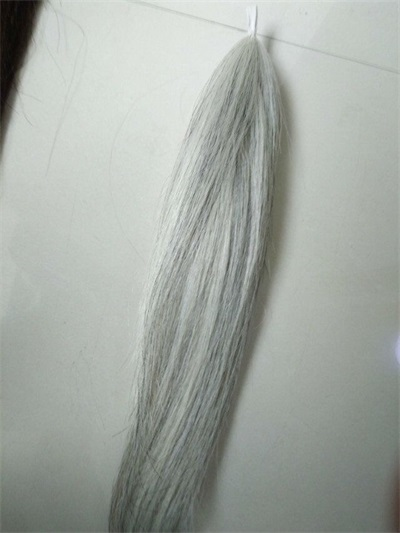 The false horse tail hair can be made into white color,Nature white color or black color to matching your horse color. We can dye the color for some personality color needs, for example red color, green,grey.. 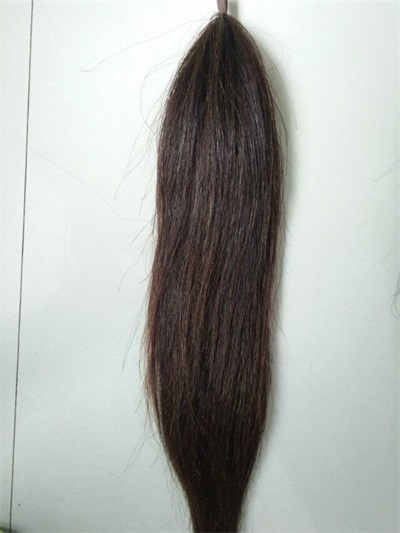 The horse tail extensions length usually is 70-76cm and 90cm. The weight divide into 170g, 230g,340g,410g,510g. But if you need other length and weight, we would like to customized for you.